LOS ANGELES, CA, September 14, 2015 – Ferdinand Metz, Certified Master Chef and former President of the Culinary Institute of America for more than 20 years, presented Mary Sue Milliken and Susan Feniger, Chefs and Owners of Border Grill & Truck with the inaugural TORCH Award during the Western Foodservice & Hospitality Expo, of which Metz is Chairman of the Education Program. This new award recognizes an individual or group of Chefs or Restaurateurs whose achievements have enhanced and brought innovation to the restaurant and foodservice community. After receiving this prestigious award, Chefs Feniger and Milliken, the celebrated entrepreneurs, authors, co-owners/chefs of Border Grill Restaurants & Truck, and co-stars of over 350 episodes of the Food Network’s “Too Hot Tamales”, prepared a Peruvian Ceviche on Plantain Chips in the Culinary Demonstration Theater on the show floor to a standing room only crowd. 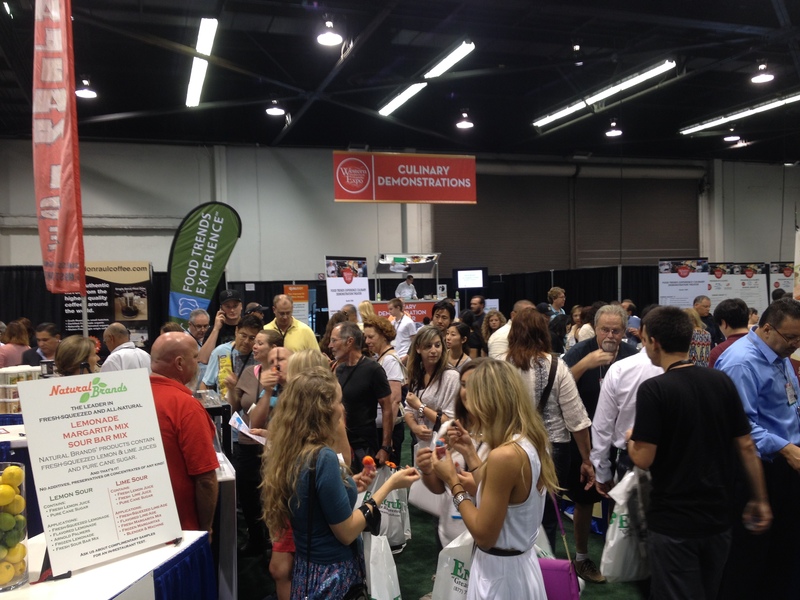 The Western Foodservice & Hospitality Expo brought together 450+ vendors and 8,000+ restaurant, foodservice and retail professionals to the Los Angeles Convention Center at the end of August. Attendees of the Expo had to opportunity to participate in over 35 educational sessions at the Ferdinand Metz Foodservice Forum, the gold standard, industry-leading educational conference dedicated to foodservice professional development. The 2016 Western Foodservice & Hospitality Expo will be held August 28-30 at the Los Angeles Convention Center. Additional foodservice events include the Florida Restaurant & Lodging Show, October 6-8, 2015 at the Orange County Convention Center in Orlando and the International Restaurant & Foodservice Show of New York, March 6-8, 2016 at New York City’s Javits Center. For more information, visit www.westernfoodexpo.com for www.thefoodshows.com.